STXfilms is keeping up the long-standing studio tradition of opening mother/daughter comedies on Mother’s Day weekend. In 2017, the Amy Schumer/Goldie Hawn vehicle Snatched opened, then last year it was Melissa McCarthy’s Life of the Party. Now, Diane Keaton’s cheerleader comedy Poms, is getting a similar release date. Poms will open on May 10, the Friday before Mother’s Day. In the film, Keaton plays a woman who, after moving into a retirement community, starts a cheerleading squad with her fellow residents. The film also stars Pam Grier (Jackie Brown, This Is Us), Jacki Weaver (Bird Box, Silver Linings Playbook), and Rhea Perlman (The Mindy Project, Cheers). Battle of the Sexes director Zara Hayes will helm the project, from a script by Shane Atkinson (Penny Dreadful) based on a story by Hayes and Atkinson. Kelly McCormick, Alex Saks, Mad as Birds Films’ Andy Evans, Ade Shannon, Ceyln Jones and Sean Marley produce. Executive producers include Rose Pictures’ Rose Ganguzza, Keaton, eOne’s Nick Meyer and Marc Schaberg, and Will Greenfield. eOne’s Sierra/Affinity is handling foreign sales. 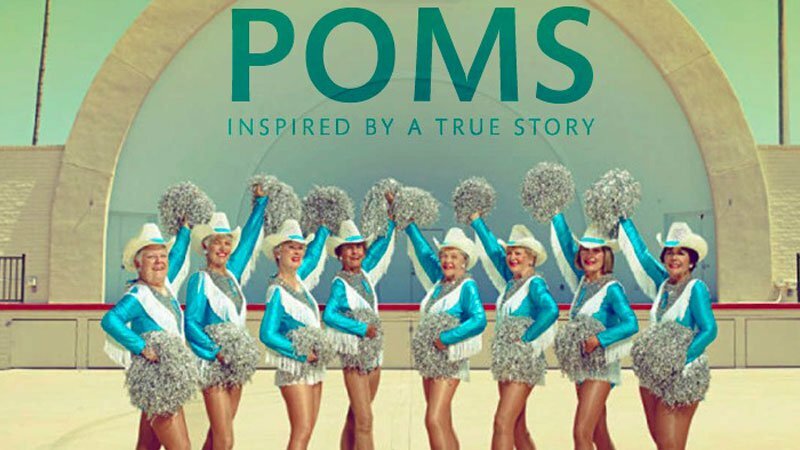 STX initially took U.S. rights to the eOne-produced Poms for $8M-$9M at the American Film Market last November.